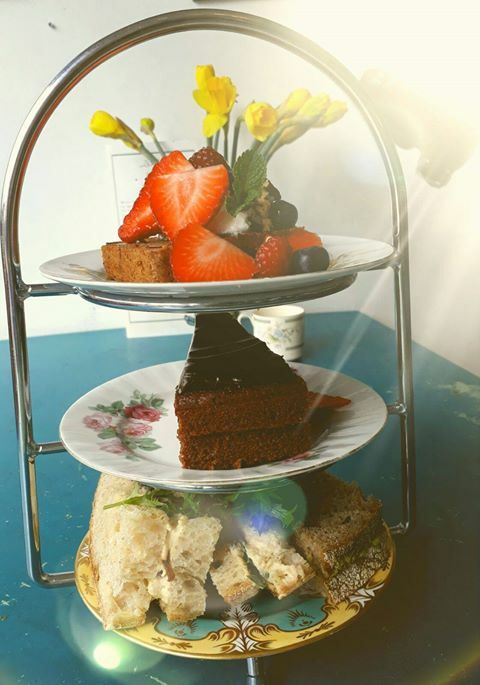 Say hello to our new vegan Afternoon tea! Homemade hummus, and guacamole finger sarnies, chocolate and avocado cake, toasted banana loaf with coconut yoghurt, homemade jam, and fresh berries… Ta daaaaaaa. Hello there, welcome to Cox & Baloney’s. We’re one of Bristol’s finest tearooms, cocktail and gin bars, purveyors of fine tea, & event hosts. Tearoom and Bar Vintage-style parties…Fun, music, tea, cakes & teapot cocktails! We’re also a great venue in Bristol to throw a private party! People travel from all across the UK to celebrate their hen do, baby shower, birthday, wedding reception, anniversary and more! We have several party spaces to hire, and loads of great party menus. So, come in and see us for a cuppa (and a bit more), we’re open for breakfast, brunch, lunch, dinner and evening drinks!